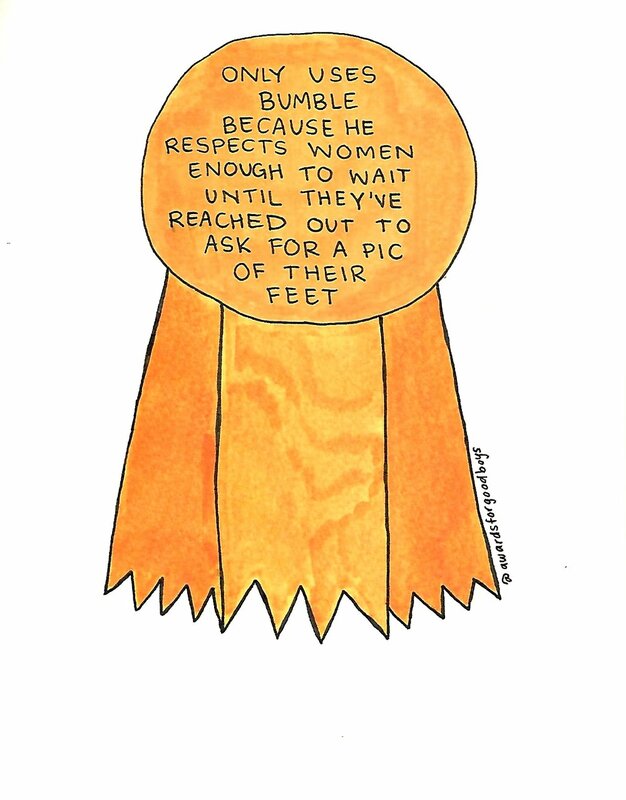 With Cannes-like laurel leaves, trophies, and ribbons, cartoonist and comedian Shelby Lorman makes literal our collective tendency to applaud men for (barely) eking above our already subterranean standards for them–for being “good boys”. A good boy puts “feminist” in his Tinder bio but talks over the women in his Gender Studies class without batting an eyelash. He ghosts you, but he feels momentarily guilty about it. He once read a book by a woman author. (It was required, but he thought it was “okay.”) And of course, the headlines are filled with good boys bravely issuing statements condemning sexual harassment (for PR purposes). Through Shelby’s signature illustrations, comics, and written vignettes, Awards for Good Boys offers hilarious cultural commentary through which we may begin to unravel our own assumptions about gender roles and how we treat each other, both on and offline.